Aleksey Vladimirovich Mishin (Russian : Алексе́й Влади́мирович Ми́шин; born February 8, 1979 in Ruzayevka) is a Mordvin born Russian wrestler. Ruzayevka is a town in the Republic of Mordovia, Russia, located on the Insar River, 25 kilometers (16 mi) southwest of Saransk. Population: 47,523 (2010 Census); 49,790 (2002 Census); 51,034 (1989 Census). The Mordvins, also Mordva, Mordvinians, Mordovians, are the members of a people who speak a Mordvinic language of the Uralic language family and live mainly in the Republic of Mordovia and other parts of the middle Volga River region of Russia. Mishin won a gold medal in Greco-Roman wrestling, 84 kg division, at the 2004 Summer Olympics. He is also the 2007 world champion and 2001, 2003, 2005 and 2006 European champion. His personal trainer is Alexander Tarakanov. Greco-Roman (US) or Graeco-Roman (UK) wrestling is a style of wrestling that is practiced worldwide. It was contested at the first modern Olympic Games in 1896 and has been included in every edition of the summer Olympics held since 1908.This style of wrestling forbids holds below the waist; this is the major difference from freestyle wrestling, the other form of wrestling at the Olympics. This restriction results in an emphasis on throws because a wrestler cannot use trips to take an opponent to the ground, or avoid throws by hooking or grabbing the opponent's leg. On March 18, 2015 Aleksey posted on Reddit that he was looking for a Brazilian Jiu-Jitsu Black Belt to train him. After only one Day Nick Diaz of Cesar Gracie Jiu-Jitsu accepted. He was the runner-up in Russian National Greco-Roman Wrestling Championships 2015. Reddit is an American social news aggregation, web content rating, and discussion website. Registered members submit content to the site such as links, text posts, and images, which are then voted up or down by other members. 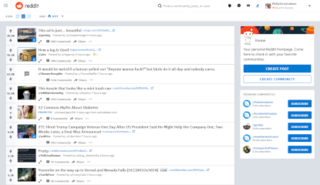 Posts are organized by subject into user-created boards called "subreddits", which cover a variety of topics including news, science, movies, video games, music, books, fitness, food, and image-sharing. Submissions with more up-votes appear towards the top of their subreddit and, if they receive enough votes, ultimately on the site's front page. Despite strict rules prohibiting harassment, Reddit's administrators spend considerable resources on moderating the site. Nickolas Robert "Nick" Diaz is a retired American mixed martial artist and promoter, currently signed to the Ultimate Fighting Championship (UFC), currently on hiatus from fighting. Widely regarded as a pioneer for the sport of MMA and since beginning his career in 2001, Diaz has competed in UFC, PRIDE, Strikeforce, EliteXC, World Extreme Cagefighting (WEC), DREAM, and Shooto. He is a former welterweight champion in Strikeforce and WEC, and is the older brother of Nate Diaz. Cesar Gracie Jiu-Jitsu is a mixed martial arts and Brazilian Jiu Jitsu training facility located in Pleasant Hill, California and is home to numerous highly ranked mixed martial artists who compete in organizations such as the Ultimate Fighting Championship (UFC). In hand-to-hand combat, grappling is a close fighting technique used to gain a physical advantage such as improving relative position, or causing injury to the opponent. Grappling covers techniques used in many disciplines, styles and martial arts that are practiced both as combat sports and for self-defense. Submission wrestling or combat wrestling, is a form of competition and a general term for martial arts and combat sports that focus on clinch and ground fighting with the aim of obtaining a submission through the use of submission holds. The term "submission wrestling" usually refers only to the form of competition and training that does not use a gi, or "combat kimono", of the sort often worn with belts that establish rank by color, though some may use the loose trousers of such a uniform, without the jacket. Mark Philip Schultz is an American Olympian and 2-time World champion freestyle wrestler and a Distinguished Member of the National Wrestling Hall of Fame, the San Jose Sports Hall of Fame, the California Wrestling Hall of Fame, and the San Mateo Peninsula Sports Hall of Fame. Arthur Alvin A. Aguilar is a martial artist and Mixed Martial Arts promoter better known as "Alvin Aguilar". He was born on April 28, 1974 in Bacolod, Philippines. He is the president and founder of the Universal Reality Combat Championship ; He is also the founder and head coach of DEFTAC Ribeiro Jiu-jitsu Philippines and now currently serving as the president of the Wrestling Association of the Philippines. He started training in martial arts at the age of 9, first in Karate, Arnis and Greco-Roman Wrestling. Having spent over 30 years of his life to the study of multiple martial arts forms including Sari-an, Brazilian Jiu-Jitsu, Yaw Yan, Pekiti, etc. He has developed his own unique fighting style specializing in grappling, knife and street fighting. He is also known for being the first home-grown Filipino Brazilian Jiu-jitsu Black belt. Andrea Minguzzi is an Italian Greco-Roman wrestler. He won a gold medal in the 2008 Summer Olympics, although his semifinal match against Ara Abrahamian was marred by controversial judging. Marcello Salazar M. Bergo is a Brazilian mixed martial artist. He is a member of the Brazilian Top Team, and is currently a full-time instructor at Brazilian Top Team-Jacksonville in Jacksonville, Florida. Rodrigo Gracie is a retired Brazilian mixed martial artist and Brazilian Jiu-Jitsu practitioner. A member of the famous Gracie family, Rodrigo is a 5th Degree Black Belt in Gracie Jiu-Jitsu and a Gold Medalist in the 1998 ADCC Submission Wrestling World Championship. While competing in PRIDE Fighting Championships, Gracie was ranked amongst the top Middleweight fighters from 2003 to 2004 due to an undefeated streak with consecutive victories over Hayato Sakurai, Daiju Takase, Yuki Sasaki, and Daijiro Matsui. Roman Andreyevich Vlasov is a Russian Greco-Roman wrestler. He is a two-time Olympic Champion, a two-time World Champion, and a three-time European Champion. He also won the gold medal at the 2013 Summer Universiade. Furthermore, he was runner-up at the 2013 World Championships and the 2014 and 2015 World Cup. Vlasov trains under Viktor Kuznetsov, the same coach who raised Aleksandr Karelin. Aleksey Shumakov is a Russian wrestler. He was Olympic gold medalist in Greco-Roman wrestling in 1976, competing for the Soviet Union. Amer Hrustanović is an amateur Austrian Greco-Roman wrestler, who competes in the men's light heavyweight category. He holds both Austrian and Bosnian citizenship in order to compete internationally in wrestling, including the Olympic games. Hrustanovic is also a member of the wrestling team for AC Wals in Salzburg, and is coached and trained by Marco Haring Hannes. Vladimer Gegeshidze is an amateur Georgian Greco-Roman wrestler, who competes in the men's light heavyweight category. He won a silver medal in the same weight division at the 2013 European Wrestling Championships, coincidentally held in his home city Tbilisi, losing out to Russian wrestler and former Olympic champion Alexei Mishin. Aleksey Viktorovich Shevtsov is a retired amateur Russian Greco-Roman wrestler, who competed in the men's lightweight category. He represented Russia in two editions of the Olympic Games, and later capped off his wrestling career with a bronze medal in the 60-kg division at the 2005 European Championships in Varna, Bulgaria. Shevtsov also trained as a member of the wrestling team at the Moscow Academy of Combat Sports in Moscow, under his personal coach Yevgeny Peremishin. Chingiz Suleimanovich Labazanov is a Chechen-born Russian Greco-Roman wrestler. He is winner Golden Grand Prix Ivan Poddubny in the Greco-Roman men's 74 kg event and 75 kg 2016, in final match he beat Olympic Champion Roman Vlasov. He is silver medalist in Greco-Roman World Cup and gold medalist in World Greco-Roman Wrestling Championships 2014. He became Russian National Greco-Roman Wrestling Champion 2015 in 75 kg. He has older brother Ibragim Labazanov Olympic wrestler. The ADCC Submission Wrestling World Championship is a grappling competition involving professional athletes who have been successful at the highest levels of Luta Livre, wrestling, catch-as-catch-can, judo, jiu-jitsu, sambo, shooto and mixed martial arts. The rules of the event disallow strikes while promoting grappling and submissions. Bob Anderson is an American wrestler and coach. Anderson was born in 1943 in Oakland, California and is from Redondo Beach, California. He attended South High School where he placed 3rd his junior year, and finishing as a state champ his senior year. He won the 1968 Western Regional Olympic Trials and went on to win the 1968 Olympic trials. Anderson attended El Camino College where he won state as a sophomore had a record-breaking 1 loss the whole season. Anderson ended up transferring to Adams State College, he then became a 2 time NAIA champion, and was Rocky Mountain Champion. Anderson was an NCAA All American. Anderson competed and won in the 1968 Olympic Trials in Greco Roman style and was alternate on the 1968 Olympic Team. He also wrestled freestyle. He wrestled Greco Roman in the 1971 Pan American Games, and in Sambo sytyle at the 1979 US Sambo World Team Championships. He coached and competed in the Pan American games in 1978, earning an individual and a coaching championship. Anderson coached 2 national teams in Sambo, placing 2nd and 3rd. In 1996 Anderson had trained Rolls Gracie, whom he would teach techniques like the Americana Arm Bar. He was a 1996 US Olympic Team Wrestling Coach. In 2003, he became the World Masters Wrestling Champion at 211 lbs. Anderson has also trained Rulon Gardner, Dan Henderson, Heath Sims, and Randy Couture. Martijn de Jong is a Dutch mixed martial artist. He competed in the Middleweight division. Davit Gochaevich Chakvetadze is a Georgian-born Russian Greco-Roman wrestler. He moved to Russia in 2013 by the recommendation of Russian national Greco-Roman coach Gogi Koguashvili. Chakvetadze won gold at the 2016 Summer Olympics in the 85 kg category. Bekkhan Abdurakhmanovich Ozdoev is a Russian Greco-Roman wrestler of Ingush descent who wrestles in the 87 kg weight category. ↑ "Любовь случайно не приходит". mk.ru. Retrieved 24 December 2016. This biographical article relating to a Russian sport wrestler or wrestling coach is a stub. You can help Wikipedia by expanding it.